I make a big deal here about motion picture film, talking about super 8, Kodak, and other things, quite a big deal considering I’ve never actually shot any myself. That will change in the next coming weeks, thankfully. I’ve made a few short films before, exclusively using my 35mm still cameras, have even posted two of them (here and here), and was planning on doing the same for this next project. However, thanks to winning a grant from my university, I have an actual budget, with an increasing amount of it being dedicated to shooting on super 8 film. I plan on keeping my shooting ratio as close as possible to 1:2, something I don’t necessarily know if I’ll be able to accomplish, but depending on how long the finished film ends up being, I’d like to see approximately 50% of the film ending up being super 8, the other half being 35mm stills, so for a ~15min film, say 6-7min or so. Though I’ve read of plenty low-budget productions that have found it possible to shoot film, it gets a bit hard for no-budget projects. If the option exists to borrow a DSLR from a friend, use school equipment, etc, that’s understandable. It’s hard to argue for film when you have no money for it. With a budget of $1000, I’m putting roughly 70% of that toward super 8 film and processing. 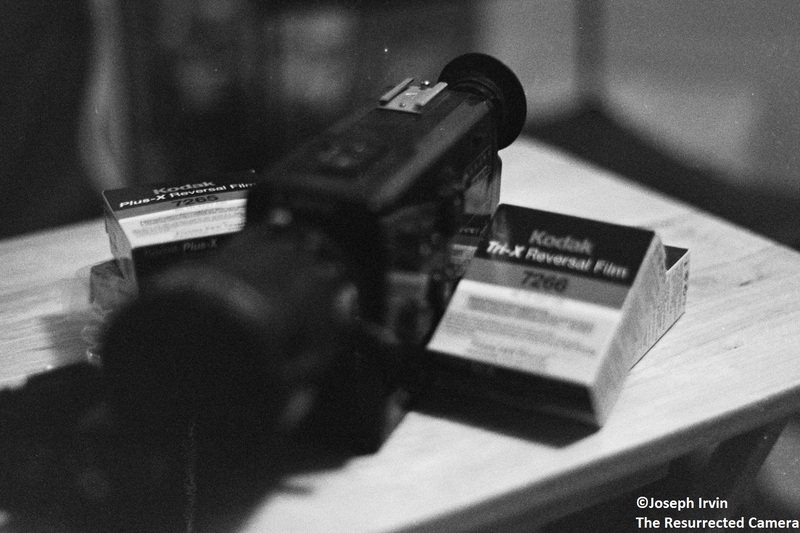 When there’s a will to shoot film, a way appears. And it seems that once you’re over that initial hurdle, it gets easier. The cost differences between 8mm processing/scanning vs. 16mm are very low, and most of the extra costs you incur come from longer film lengths in larger formats (50ft of super 8 film is equivalent time-wise to 100ft 16mm, etc). It’s enough to make me wish I had access to a 16mm camera…maybe someday! Colorado really is a film-user’s dream in some respects. I found out in my research that there happens to be a full-service photochemical lab for motion picture film just up the road in Denver, so I don’t even have to send my film out of state. I suppose they get a lot of business from the University of Colorado film school in Boulder, which by all accounts a great school (and headed up by director Alex Cox). UCCS really is the baby brother here. In addition to this, all of Kodak’s 8mm and 16mm film is slit in a facility near Fort Collins; pretty neat. I’m proud to be able to finally take part in this rich Colorado film history. Kodak is making a new super 8 camera? Crazy! These are enticing features that make me want to drop some money on one, but I wonder just how much it will end up costing. While the Logmar was (and is) a great idea, I don’t have $6000 to spend for one. For half (a fourth?) that price I could get a used 16mm camera, something I’ve been tempted to do in the past. What will Kodak’s new camera cost? Not more than $750 according to current estimates. The only thing missing from the specs so far is the inclusion of a time-lapse feature, and I suppose a slow-motion setting; I hope that will be corrected before going into production. All in all though, this is exciting news, and its features will make it a great improvement over most used super 8 cameras available today, my Canon 1014XLS included.